I am 19 years old and study English and German Linguistics and Literature at the University of Ghent, Belgium (yes, my choice was influenced by Tolkien; he awoke my interest in the field). Most of the time I live in a student's room in Ghent, but in weekends and holidays I go home to Diksmuide, a town in West Flanders, most 'famous' for its World War I history. My hobbies – next to 'Tolkien' – are playing guitar (I play in two bands, one in Ghent and one in Diksmuide), music, film, and hanging out with my friends and girlfriend. After having seen the films, I read the books...and was amazed. 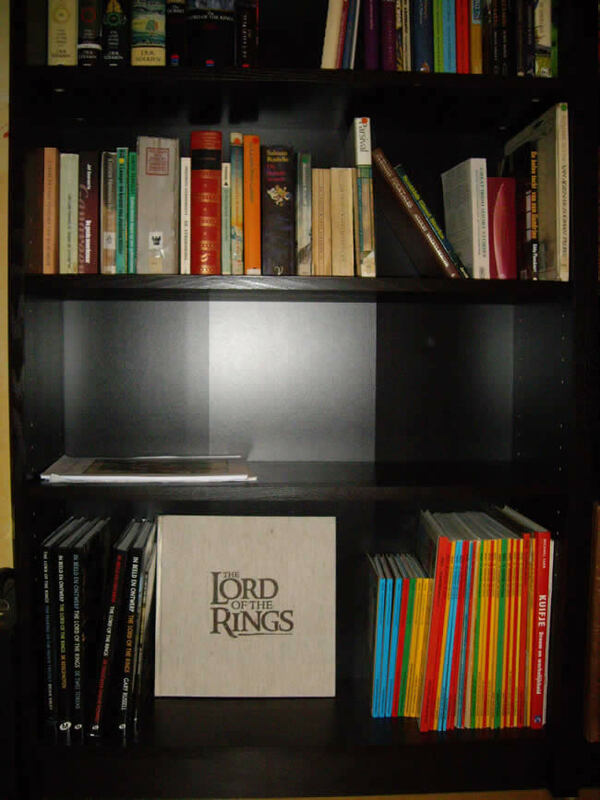 I did not find it hard to use my own imagination when reading the books; I see the films apart from the books and thus have no problem with any illustrative adaptation of Tolkien's work. I even look forward seeing The Hobbit, because I know it will not have any influence on the vision I have when reading the book. 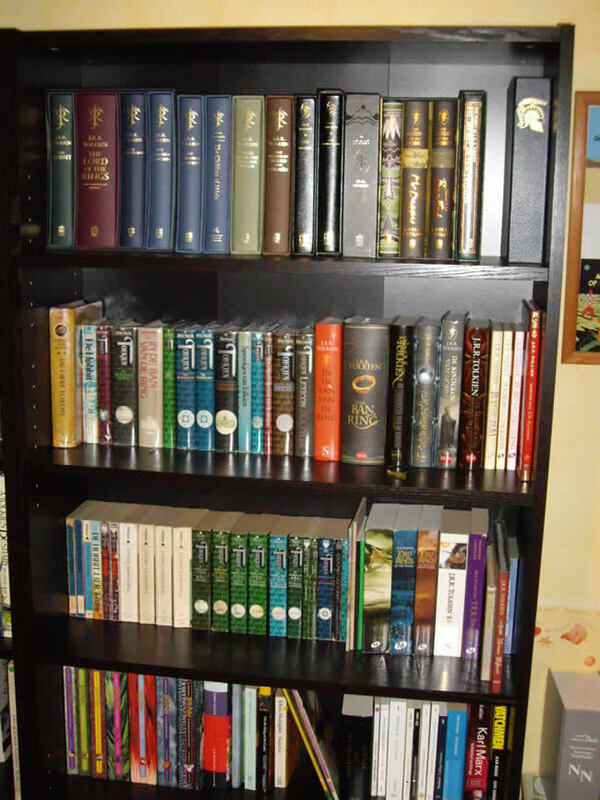 From then on, I started visiting second-hand bookshops and soon acquired other basic works like The Hobbit, The Silmarillion and older copies of The Lord of the Rings (all in Dutch). 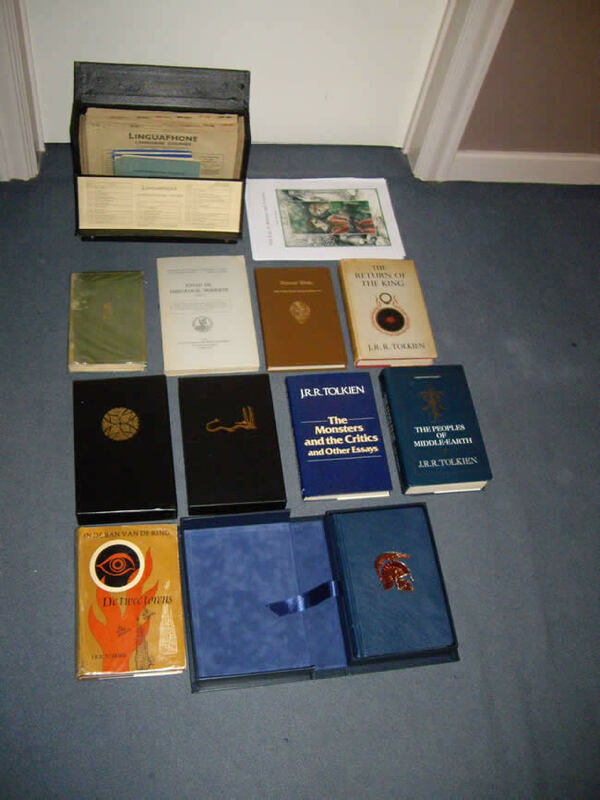 The acquisition of the latter was the real beginning of my collection, because I now had two copies of the same book(s). 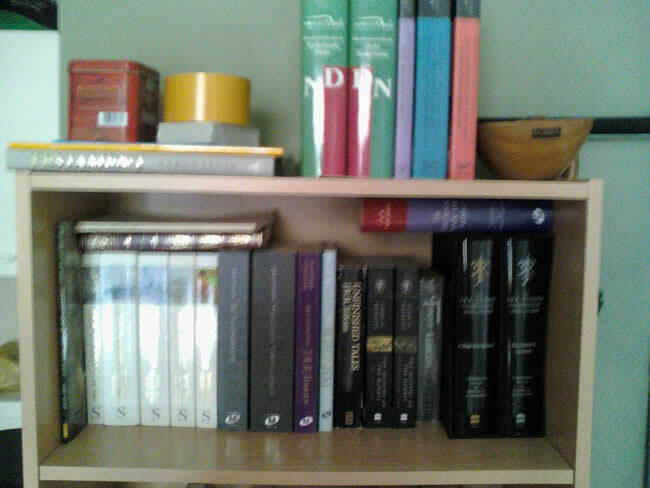 My Tolkien book collection is a bit separated: a small part, some 20 books, are in Ghent, the larger part, some 140 books, are at home. It's my outlet from a busy life. Away from study and worries, I can just be on my own, relax, enjoy collecting and enjoy my collection. It's the perfect hobby for me! You know that feeling you get, when you're home from a busy day at work and you just plump down in your couch and you heave a sigh and feel relieved as hell? Well, that's the feeling I get from collecting!